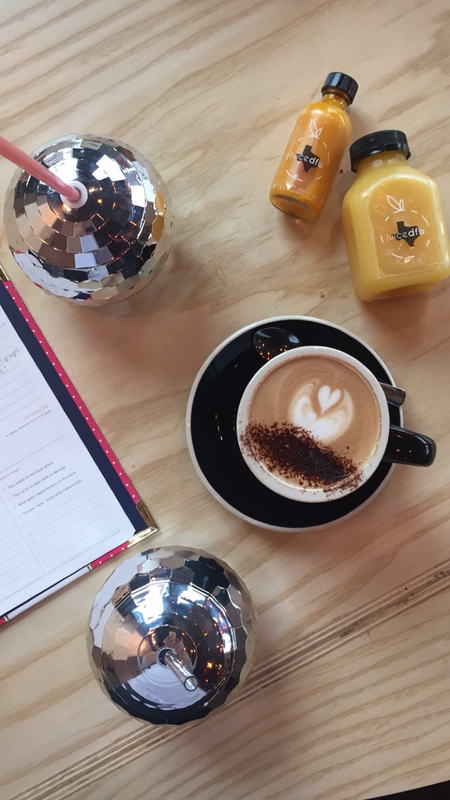 There are SO many cute new coffee shops in Dallas, and it seems like more are popping up every week! No complaints here! Even though there are so many options, sometimes I’m still guilty of choosing Starbucks! BUT after a lot of research and driving all over Dallas, I’ve finally organized a list of my fave coffee spots for work and for play! I don’t have specific criteria for my lists, except that I like the vibes of these places, so you'll just have to trust me! This Australian-owned and operated coffee shop is on Fitzhugh and I kind of love that it’s only open until 4pm because it makes me hustle to get my work done! The interior is minimal and open, and community tables encourage being friendly :) OR you can wear headphones and not talk to anyone, but that’s up to you. My favorite drink at LDU is the mocha (above), but the guys are always challenging me to try something different, which is fun. I love that my coffee is a normal $3.50ish depending on what I order, versus $7 at some of those new hipster places. (SEVEN BUCKS! ARE YOU SERIOUS?!?!) Go check it out and tell them that Rhonda sent you, unless you’re not a nice person, then don’t tell them that. k thx. PS. I started going to LDU at the end of 2017 right when they opened and I was working on Beats & Bubbly, so they would always see me with my disco ball cup, and they still make sure to mention that I haven't brought them one yet. Oops! Restaurant? Coffee shop? Bar? Yes to all of the above! I love Halcyon because of all of that natural light and plenty of tables to work! 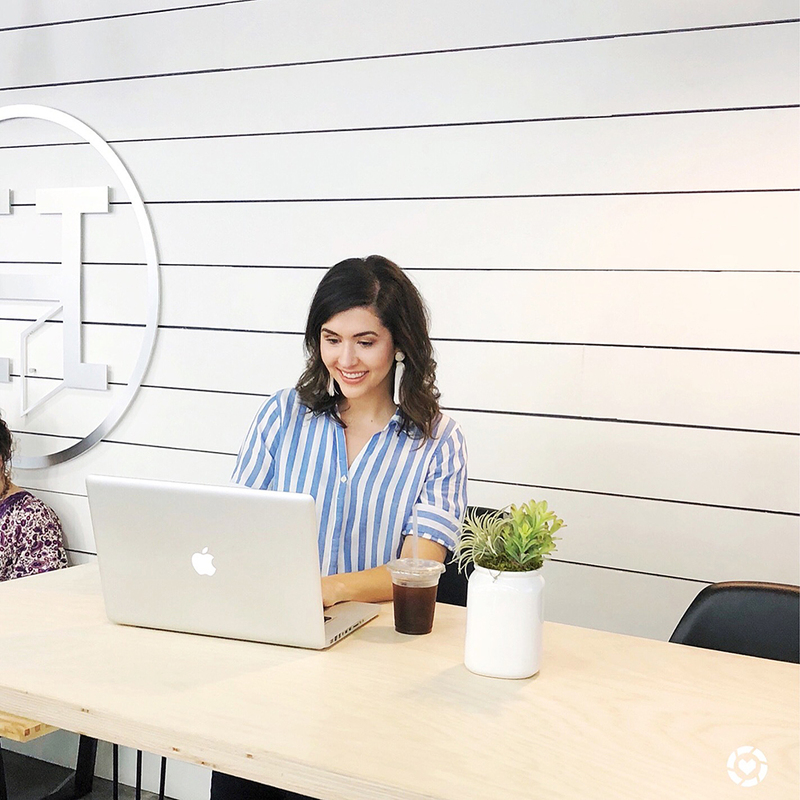 It’s a great place for work dates with friends because you can talk without feeling like you’re disrupting anyone else, and there are plenty of outlets to plug into. AND if you’re feeling a mimosa instead of coffee, you can do that too. You can't go wrong with good natural light and a bright clean vibe...I'm actually noticing right now that each of these 3 shops have great light and feel bright and clean, so maybe that's my criteria for this list. ;) It always helps to be able to snap an Insta photo while you work, right?! It’s new, but also not new. 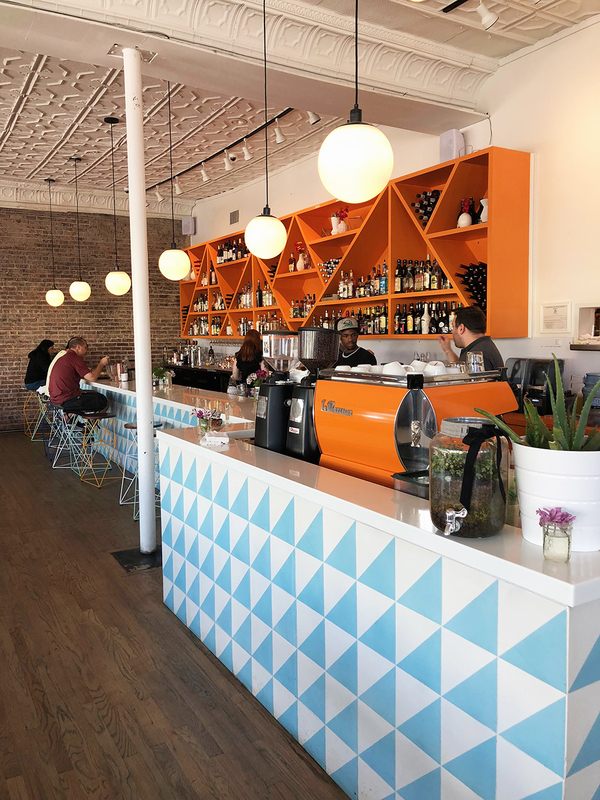 Herb’s took over old Union Coffee, but it got a major facelift and looks so good! I like Herb’s because it feels a little bit off the beaten path. Maybe it’s because I never see anyone I know there...probably because there are a lot of SMU students who study at Herb's. BONUS if you’re there in the afternoon, they give away samples of their leftover Taco Deli tacos, so that’s a major win. (sit at the tables closest to the counter for first dibs!) You’re welcome. Next week I’ll be posting my favorite coffee shops "for play", so stay tuned and get ready for to see the cutest shops in Dallas!